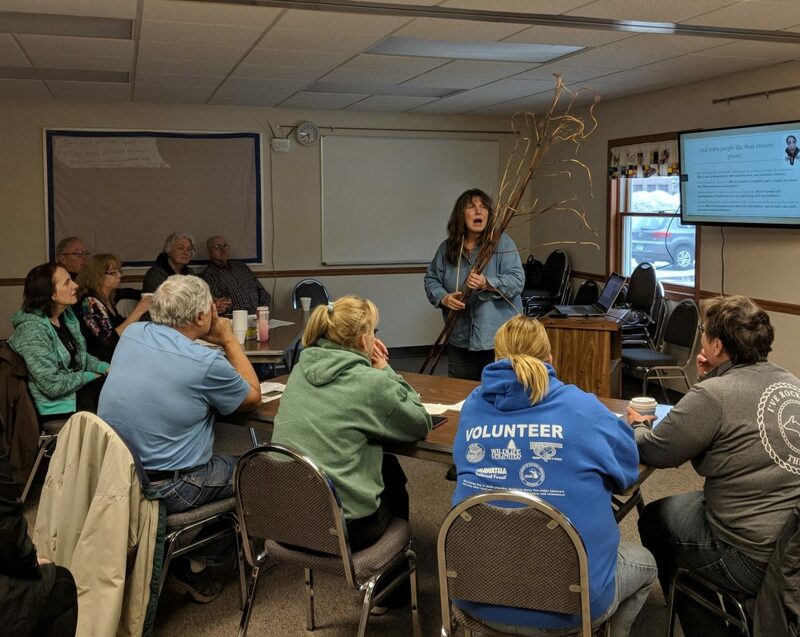 Schoolcraft Conservation District hosted a Pull the Invasives, Plant the Natives workshop on Monday evening at the First Baptist Church of Manistique. Teri Grout, partner from Alger Conservation District and Lake to Lake Cooperative Invasive Species Management Area, educated local residents on how to identify and treat common invasive plant species found in the area. Attendees also learned about pollinator-friendly native plants for gardening and landscaping.